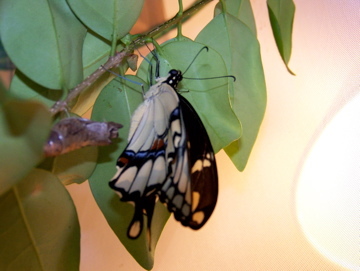 Newly Emerged Giant Swallowtail Butterfly! Chrysalis time was 8 days. Wonderful that you "caught" this photo.